Optimizing for local search engines involves building and maintaining your business’s website and online directories to help customers find you in local search results. We reviewed 30+ top-rated local SEO services, landing on the top six — including the best overall — based on services offered, affordability, customer support, and more. Many small companies are strapped for time and want to spend their money on energy on direct growth strategies, like sales and marketing. Local SEO is still important, however, so we evaluated local SEO services for affordability, strong customer service, and the range of services small businesses need. Based on the criteria above, we believe Hibu is the best local SEO service provider due to its affordability, comprehensive services, and stellar customer service. For $400, Hibu will design your website and, for an additional but reasonable monthly fee, it will use both on-page and off-page SEO strategies to ensure your business is ranked as high as possible on search engines. “Outsourcing is a good idea if you don’t have the in-house resources to successfully rank your business on a local level. Some industries are easier than others, and it ultimately depends on how saturated the market is. For instance, if you’re trying to rank for criminal defense attorney in a densely populated, metropolitan area, I would highly recommend hiring a pro since these queries can be very difficult in which to achieve local visibility. If you’re in a relatively low competition niche and/or market, I would recommend reading up on local SEO best practices and managing it on your own. Hibu is a full-service local SEO agency offering everything a small business needs create their websites from scratch and help local customers find it. Hibu begins with an SEO audit that then designs a website and performs ongoing maintenance for best visibility on Google and an updated and positive presence on business listing sites like Yelp and Google+. Because it offers comprehensive services, it is best for solopreneurs without SEO knowledge, like ecommerce and direct sales service companies. Hibu’s SEO optimized web design starts at $400, with a $100 per month maintenance fee. It includes both initial on-page SEO and off-page SEO, the latter primarily involving the creation of business listings. This is just a month-to-month contract and includes backend updates and a complete refresh every two years. Ongoing SEO work starts at $500 a month and can go as high as $1,500 a month, depending on the type of website. It also requires a six-month contract because SEO takes time to show results. Hibu offers on-page and off-page SEO. On-page SEO services include initial search optimized website design and content production; optimization of alt, meta tags, and page titles; duplicate content detection; and site architecture analysis to ensure it fits Google’s expectations for usability. Its off-page SEO services include inbound link building, creation, and maintenance of local listings and maps, press releases, review management, and social media marketing. Hibu offers consultations with digital specialists who go over client businesses and goals. Then, it does an SEO audit and creates a custom plan around your goals, SEO weaknesses, and target markets. While some services like LSEO start with a paid consultation, Hibu lets you begin with a free SEO marketing audit to help understand what you need to improve. You can also conduct a free business listing scan to learn how your business appears across the web and how you can improve it. Hibu partners a digital services consultant with each client, meaning you will enjoy ongoing support from someone who knows your company and its goals and is managing your local SEO success on an ongoing basis. Also, Hibu’s platform offers constant insight into your business listings from one place so that you can update them as needed while Hibu professionals regularly update your website’s design, coding, and SEO to meet Google’s expectations. Unlike many providers, Hibu offers 24/7 access to dashboards so that you always know how local SEO campaigns are doing. For example, it covers metrics around clicks, conversions, and sales on your site. Separate reporting functionality includes a look into how listings drive engagement and how social media ads perform around your chosen metrics. It also sends a monthly email report with performance reviews of all campaigns. Unlike Boostability, Hibu offers a dedicated digital marketing specialist whom you can contact as needed with questions about your campaigns. You can contact Hibu via phone from 8 a.m. to 11 p.m. Eastern time, Monday through Friday, and 8 a.m. to 6 p.m. Eastern time on Saturdays. In addition, you can email your digital marketing specialist or connect with Hibu via live chat on its website. Unlike LSEO and Victorious, Hibu doesn’t offer continuous maintenance of social media accounts. Instead, it only offers social media advertising via Facebook Ads Manager, which doesn’t contribute as much to achieving local social media search goals. It also doesn’t offer the do-it-yourself SEO tools other providers like LSEO do. Users like the one-to-one support Hibu offers and that campaigns are professionally designed to reach business goals. They also like that Hibu learns about client niches and optimizes websites and online presences to compete in a variety of industries. They feel Hibu services are more affordable than many, are rendered quickly, and produce quick results. They don’t like being locked into contracts, and some services were reported canceled without notice. To learn more about Hibu, you can request a free digital marketing score from its site to learn about where your online business presence needs improvement. Then, from its “Get Started” tab, you can give fill out the form to get a custom marketing plan around your goals and target markets. Click below to get your free SEO report. LSEO offers on-page and off-page SEO with do-it-yourself software for brands to conduct their SEO in-house more affordably. The software includes the support of SEO experts with performance tracking, scoring, recommendations, and feedback within the software. LSEO is best for growing brands needing to create an in-house SEO department, including ecommerce stores, travel and hospitality booking websites, and software companies. LSEO offers local SEO campaigns starting at $1,000 per month. Its SEO audits begin at $1,500 and top $3,500, depending on the complexity of the client’s online presence, competitive environment, and work needed. LSEO offers a combined approach to improving a business’s Google rankings, including social media strategy and development, SEO website optimization and content production, and business listing and review management. It also offers do-it-yourself software for you to develop your own in-house strategy and implementation. LSEO begins its strategy with a thorough SEO analysis using current and enterprise-level analysis tools like Majestic and SEMrush. From there, it creates a report that includes keyword analysis, content relevance, how well your site is performing based on internal and external links, a competitor analysis, recommendations for improvement, and more. It also offers a checklist of SEO tasks to improve your online visibility. LSEO assigns you a client services manager, who your primary contact and is supported by a team of analysts to implement your plan. It reportedly offers a more consistent primary contact than Boostability with constant communication back and forth and more formal biweekly phone or video conference calls. It also learns your business, key in-house contacts, and industry to ensure updates are competitive. LSEO offers a metrics dashboard that both LSEO and clients can access for ongoing performance tracking. While other service providers do offer dashboards, including Hibu, LSEO goes further with customization options that allow clients to create dashboards that suit their unique needs. It also offers monthly reporting and strategy meetings. Unlike Boostability, LSEO provides one point of contact who is specifically dedicated to your account. You can call the company from 9 a.m. to 5 p.m. Eastern time with any questions. It also provides an always-accessible dashboard so that you can understand the ongoing work being done and the progress of your campaigns. LSEO doesn’t have some of the free initial audit tools like Hibu and other service providers do, including free competitive analyses, SEO audits, business listing reviews, and more. It also doesn’t offer a platform for reviews so that you can encourage positive reviewers to post on more public review platforms. We were unable to find any negative reviews for LSEO. Clients like that the company creates an inflow of qualified leads to business websites, and that websites are professional and attractively designed. They also like that account representatives offer strong communication and develop long and short-term actionable plans around business goals. To learn more about LSEO’s local SEO services, visit its home page, hover over its “SEO Services” menu option, and click “Local Search Engine Optimization.” You can also access a free 14-day trial of its DIY SEO software by clicking on “Do It Yourself Local SEO Software” from the “SEO Services menu option, then scrolling down and clicking on the “Start Your Free Trial” button. Digital Marketing Agency (DMA) is a web marketing agency specializing in the SEO of international regions. It has international SEO experts who are native to and specialize in the languages of world regions and cater local SEO to foreign language speakers’ search behaviors and intent. It best serves businesses that serve multilingual markets, including multinational brands in manufacturing, retail, technology, and translation industries. Digital Marketing Agency offers a custom quote based on SEO campaigns’ complexities, audiences, challenges, and goals. Generally, however, expect local SEO pricing to start at $2,000 per month. If companies cannot afford this, though, DMA reaches out to partners to collaborate on a package that’s more affordable. DMA conducts thorough on-page and off-page local SEO by first conducting competitive analysis and thorough investigation of clients’ SEO standing. Then, it goes to work to improve clients’ link profiles, reviews, business and map listings, keyword targeting, and website to create greater visibility. Unlike many Fiverr providers, DMA conducts a thorough analysis of clients’ online presences, including a link building audit, full website review, competitor analysis, keyword research, social media audit, directory listing review, and examination of existing content. Based on business objectives, it pinpoints local SEO weaknesses for all business locations. Then, it develops a plan to improve online visibility. Like Boostability, many initial analyses are free. Ongoing, complete management includes ongoing link placement and link removal services; ongoing social media analysis and organic and paid search result maintenance (unlike Hibu); website content planning and publishing; and online review generation and management. All online business listings are kept up-to-date and accurate to reflect any business changes. DMA measures success for each business location, tracking the specific changes that result in higher website traffic, sales, or conversions. It tracks progress via a client-accessible dashboard which includes an overview of projects, competitor analysis, and on-page and off-page SEO efforts. Based on these reports, it recommends future strategies to continue improving local SEO results. Users report that DMA offers regular communication and prompt reply to all customer inquiries, whether by phone or email. Responses are thorough and, if DMA contacts can’t be thorough, the company at least responds with a reason why. Also, client-accessible reporting dashboards help customers know of any problems that arise and how they’re being resolved. 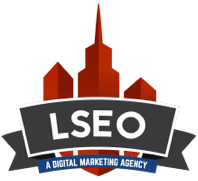 Digital Marketing Agency doesn’t offer DIY local SEO maintenance tools like LSEO does. While it does offer some free tools, it doesn’t offer a free trial of its services. We were unable to find negative feedback on DMA’s services. Any time its campaigns don’t perform well, it quickly adjusts the campaign for better results. Users say they get regular updates on their campaigns and receive reporting that always lets them know the results they’re achieving. Many users report that, while DMA is a little pricier than other agencies, users regularly experienced a threefold increase in conversions. To learn more about what Digital Marketing Agency (DMA) can do for your business, begin with a free DMA comprehensive SEO audit. To do so, click on its “SEO” menu option on its website, then select “Free SEO Analysis” from the drop-down menu. Fill out the brief form and press the “Process My Request” button. Within 24-hours, you will receive your report and click below to get started. Victorious is an SEO company offering local, national, and ecommerce SEO but specializing in return on investment (ROI)-driven local SEO. The platform offers clients 24/7 access to local SEO performance, with metrics that reveal how much clients earn from specific SEO campaigns. Victorious best serves growing mid-sized businesses in ever-shifting industries for which a real-time data-driven approach drives ROI, including tech, design, and medical firms. Because Victorious is meant for larger firms, it is an expensive option. Large campaign management starts at $3,000 a month, but it will provide custom pricing for each customer based on a full initial analysis. Victorious offers a range of on-page and off-page SEO services to build on your ongoing SEO success. On-page SEO strategies include content tag optimization, keyword optimization, site layout optimization, site performance optimization, and content production. Its off-site optimization includes link profile development, business directory listing, social media presence development, and more. Unlike LSEO, Victorious begins with a free on-page analysis to identify local SEO mistakes. It assesses keywords; onsite optimization of page titles, tags, and more; site responsiveness; Google indexing and website performance; internal linking issues; and site errors like broken links. It also offers a free SEO consultation for off-page local SEO, including an analysis of competitors’ strengths and weaknesses. Consultations include a detailed report and recommendations. Victorious updates your on-page and off-page local SEO to align with constant Google algorithm updates and SEO requirements. Ongoing strategy includes link building, content creation, site layout, tagging optimization, business listing updates, keyword research, and social media management. It offers updates of all SEO strategy, with clients reporting check-ins every week to every couple of months, depending on updates requested. Victorious reporting happens in real-time with data to back it up. Upon signing up, clients gain access to Victorious Analytics, which is an analytics reporting platform that tracks all SEO efforts in real-time; success is largely based on how much revenue is generated following SEO changes. You receive 24/7 access to SEO campaign performance, including keyword rankings, organic traffic growth, the return on investment from each campaign, and more. 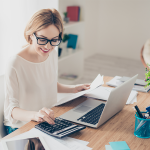 Unlike Boostability, Victorious offers clients a dedicated account manager who offers weekly email updates and is available to review strategy, questions, and progress via email. Like LSEO, behind that key contact is a team of specialists who weigh in on strategy development and updates. Emails are answered promptly and knowledgeably. 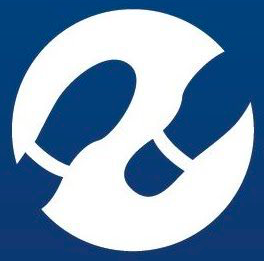 Regularly scheduled calls complement its real-time data and tracking dashboard. Victorious doesn’t offer the DIY tools LSEO does, and it tends to focus on long-form content production primarily, meaning those who want short-form content might do well to hire a Fiverr content writer. Users like that Victorious implements effective strategies and campaigns businesses don’t have to micromanage. It offers clients strong communication and customer support. It also boasts professional project management and a deep understanding of client industries and their competitive strategies. One user reported wanting shorter content to appeal to markets with shorter attention spans. For more information on how Victorious can improve your local SEO, you can read some local SEO case studies by clicking on its “Case Studies” menu tab from its home page, then on “Local SEO.” To learn more about what services Victorious would offer your brand, you can access a free SEO analysis by clicking on the blue “Free SEO Consultation” button on the top right-hand corner of all of its website pages. Boostability is a local SEO company that uniquely offers multi-location local SEO for companies with several brick-and-mortar stores. Its services include website design and local SEO, social media profile design and management, local listing management, link building, mobile web design, and SEO, and more. Boostability is best for franchises needing local SEO services, including car dealers, grocery stores, retail stores, and more. Instead of offering a contract for SEO services like Hibu does, Boostability charges by the hour at $40 per hour. For a quote, it estimates how long it would likely take it to reach your goals, then multiply the hours by $40. This can be scaled back, depending on your budget. Boostability offers a wide range of local SEO services, including website optimization, off-page business listing, and profile development, link building, and mobile website design and SEO. While you’d have to purchase several packages on Fiverr for multiple websites, Boostability uniquely offers local SEO services for brands with multiple store locations with local keyword optimization for each location’s website. Unlike LSEO, Boostability offers a free website analysis to review your local SEO performance and where you stand against competitors. These reports go further than Hibu’s, offering a website score, an organic search analysis, a Facebook performance analysis, a backlink analysis, an assessment of your local presence, and a mobile analysis. From there, you get a free website consultation call from an SEO consultant who will begin developing your strategy. Once you have your initial report in-hand and have developed a strategy, Boostability takes it from there to optimize your website, your off-page presence, your social media presence, and build up your link profile for better search engine ranking. It offers tracking of all SEO efforts so that you can check in to ensure your campaigns are on track. Boostability offers its proprietary LaunchPad analytics and tracking software for customers to keep track of all their SEO campaigns and how they’re performing. Tasks tracked and measured via LaunchPad include link development, blog content creation, local search and directory listing, business profile optimization, guest postings, onsite SEO edits, and social bookmarking and linking. Boostability offers easy-to-contact and friendly SEO experts you can contact with questions about your local SEO campaign progress. Unlike LSEO and Victorious, some customers have experienced a change in their primary contacts, but Boostability also schedules regular monthly calls and sends monthly email reports on all campaign progress. Boostability seems to be lacking in customer support. Some users report a change in primary contacts, forcing them to review their accounts with new contacts regularly. It also schedules monthly email reporting instead of weekly reporting like Victorious and some Fiverr providers do. Users like that Boostability offers transparent reporting with its LaunchPad software as well as monthly calls and emailed progress reports. It offers clients friendly support and a quick and accurate workflow. Some clients didn’t like that they experienced changes in primary Boostability contacts and that it doesn’t have superior knowledge of niche industries. To learn more about what Boostability can do for you, visit its home page and click on the green “Free Website Analysis” button on the top right-hand corner. From there, fill out the form to generate your website analysis report, then wait for your free consultation call. 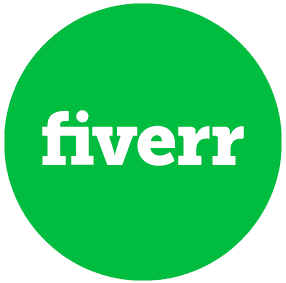 Fiverr is a freelance platform specializing in one-off project completion. Some providers do offer ongoing SEO services for a larger monthly fee. This platform is right for businesses that already have an in-house marketing team and only need occasional SEO project help, like ecommerce or virtual travel booking sites, or for solopreneurs working on a tight budget. Unlike the more consistent pricing tiers of agencies, Fiverr pricing depends on individual provider’s offerings and pricing. One-off local SEO tasks like business listings or keyword research start at $5 per task. Initial strategy and ongoing local SEO implementation starts at $160 a month and goes to $400+ a month. Some local SEO experts on Fiverr specialize in aspects of short or ongoing local SEO campaigns, while others offer a full SEO program. Specializations include Google Map listings, business listings, initial strategy, local SEO-optimized website design, language-specific SEO, backlink development, on-page or off-page SEO, keyword research, and more. Some local SEO providers on Fiverr are solopreneurs and some are agencies. Link building: Many Fiverr local SEO providers will analyze your link profile, then help you build a high-authority and internal linking strategy for higher search engine rankings via guest posting, forum engagement, and content analysis. Google, Bing, and Apple map listings: Freelancers or agencies will set up your map listing with the correct business information, category, and relevant content and walk you through verifying it. Content marketing: Fiverr local SEO providers will develop fresh blog and article writing for website blogs and guest posting, including case studies, white papers, thought leadership articles, press releases, and more. Business directory listings: Some freelancers will claim your business directory listings or create them if they don’t already exist. From there, they will populate your profiles with accurate and up-to-date business information and content, as well as help you generate fresh customer reviews. 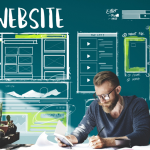 Optimized website design: Many of Fiverr’s local SEO providers analyze your company and its target audiences and apply their knowledge of Google to create a website that has a high ranking. On-page local SEO packages: Some providers specialize in updating meta tags, titles, doing keyword research and incorporating findings into your website content, creating fresh and optimized content, creating internal linking structures, optimizing your site for ideal site speed so Google can easily index relevant content, and more. Off-page local SEO packages: If you need off-page help, look for local SEO Fiverr providers who specialize in article production and submission to high-authority sites, map listings, directory submission, review generation, and social media management. Multiple location local SEO: Many agencies will work to optimize all of your business location websites around local target market search behavior and intent. Competitive analysis: Providers will do a competitive analysis of a set number of competitors, then offer a report and strategies on how to improve your ranking. Website optimization: Fiverr freelancers and agencies will optimize your website’s speed, alt tags, metadata descriptions, page titles, coding, and design to offer the user experience Google favors. Many Fiverr providers specialize in analyzing your current local SEO standing and offering recommendations for improvement. Initial strategy often includes what business listings you need updated or created, keyword strategy analysis and planning, competitive analysis reporting and planning, link profile weaknesses analysis and improvement planning, social media analysis and recommendations, and much more. Unlike agencies, most Fiverr providers specialize in one-off projects. Some do offer ongoing SEO for a monthly fee. Ongoing implementation tasks include content marketing, guest posting, link building, social media management, regular website optimization (including updating tags, coding, page titles, content, and more), business listing updates, online map updates, and much more. While they don’t often offer dashboards like Boostability, many of Fiverr’s providers offer a login or share spreadsheets that show their efforts. Many also set up Google Analytics for your website and provide you access to its reports so that you can always know what efforts are producing results. In addition, many will provide monthly action reports, including recommendations on strategy changes. Some service providers set up weekly or monthly calls to go over local SEO strategy and implementation, while others are available on a daily basis via chat, email, or phone. Each provider has different flows for checking in and answering questions. Because many don’t outline their customer support policies on their profiles, ask about what you can expect when you have your initial contact with a provider. For the most part, Fiverr is intended for single project management, not ongoing local SEO maintenance agencies like Hibu offer. This means you have to introduce new providers to your business and goals regularly. Unlike agencies like Hibu and Digital Marketing Agency, they also don’t guarantee providers are experts, leaving you to vet individual provider expertise yourself. Fiverr also lacks the customer support many agencies provide. When you hire a Fiverr provider, some offer great quality work while others offer more amateur work, leaving room for very mixed reviews of the platform. Users wish there was more customer support to aid clients when problems arise. To learn more about what local SEO Fiverr providers can offer your business, create a Fiverr account and use input “local SEO” into the search bar. From there, review providers with high reviews and assess their profiles to understand their specializations and services. Local search engine optimization (SEO) is a collection of strategies used to help Google and other search engines recognize your local business and rank it highly before local searchers. These strategies include local keyword optimization, online business directory and map listing maintenance, website design and optimization, link building, mobile SEO, and even social media profile development and maintenance. Local SEO helps small businesses be visible in search engines like Google before their local target markets. Good local SEO helps customers find you on the web, then offers them a positive and informative experience so that they’re more likely to buy from you. How Much Do Local SEO Services Cost? Professional local SEO services from an agency typically range from $500 to $3,000 a month, depending on the complexity of your online presence, how many business locations you have, what services you want included in your local SEO package, and more. 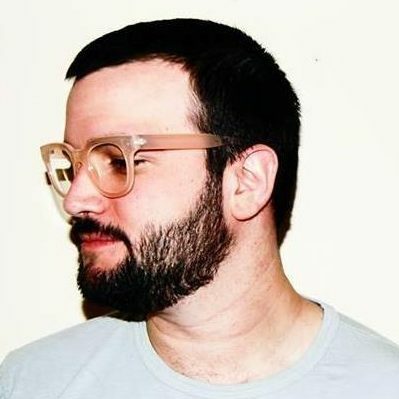 To hire a freelance service provider, expect to pay up to $400 per month. Local SEO is a set of online marketing techniques, like keyword optimization and link profile development, that help your business increase ranking on search engines like Google. These techniques ultimately increase traffic to your website, resulting in more sales. Local SEO is best for brick-and-mortar shops that rely on online websites to attract local customers. Of all of the local SEO services we reviewed, Hibu offers is the best. It offers a full local SEO service, including on-page and off-page strategies. What’s more, it offers knowledgeable customer support, exceptional reporting, and consistent results. Click below to get a free SEO report from Hibu and see how your business can improve its local SEO. Thanks for your comment! SEO is definitely an interesting subject that small businesses can benefit from learning more about. I like whitespark but have also had success with brightlocal who also do citation building but a bit cheaper than whitespark. We honestly feel we put out the best and most comprehensive articles around for small business resources and reviews.